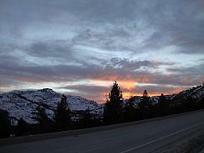 The Donner Memorial State Park, or Donner State Park as it is sometimes called, is one of the California State Parks. 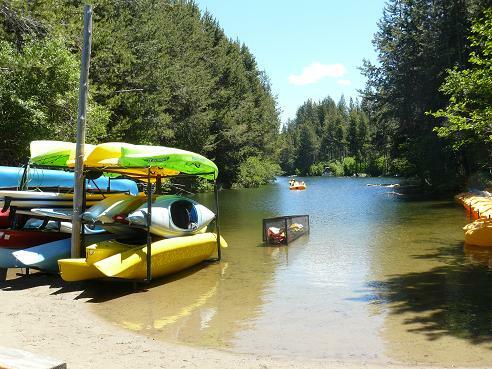 The Park is located next to Donner Lake, in Truckee, California and the Entrance is at 12593 Donner Pass Road, with a handy exit close by on Hwy 80. 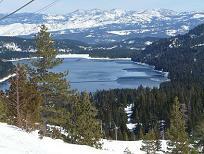 Donner State Park is a great place to visit with lots of activities year round. I took all of the pictures on this page on July 14, 2011, which was a Thursday, so mid-week it was great, and not as crowded as on the weekends. Biking - The park is a great place to ride bikes, because there are lots of roads, very little traffic, and the speed limit is low. If you plan on riding bikes around Donner Lake or walking around the lake, you will need to cut through the State Park. 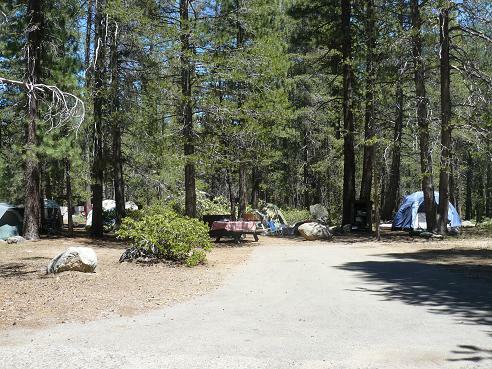 Camping - I'm not much of a camper, but if I was going to go camping in Truckee, it would most likely be at the Donner State Park Campground due to the fact that it is directly adjacent to Donner Lake, and the State Park itself has so many things to do! It is just a great peaceful place to relax! 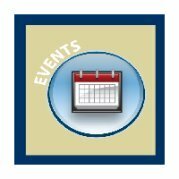 Additional details on each trail will be provided. Please check out my Cross Country Skiing Page for additional trails in the area! 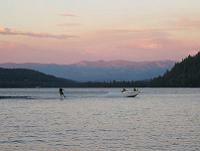 Fishing - there are over three miles of frontage on Donner Lake and Donner Creek that you can fish from. In addition, Fishing Boats can be rented from within the Park (see Watersports below). There is the public Donner Lake Boat Ramp on the northwest corner of Donner Lake, if you have your own fishing boat, and there is a great All Access Fishing Pier at Shoreline Park midway on the North side of the Lake. 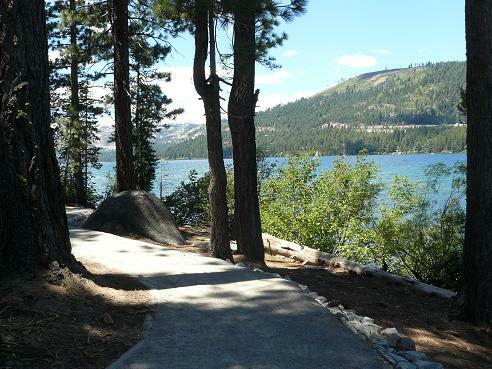 There is the 1 mile Lakeshore Interpretive Trail (pictured below) which parallels Donner Lake and has educational signs along the way. The trail starts in the lagoon portion of the day-use area of the park, and continues along the lake. This is an easy flat trail to hike, and the scenery can't be beat! There is also lots of places to sit down to rest along the way if need be. 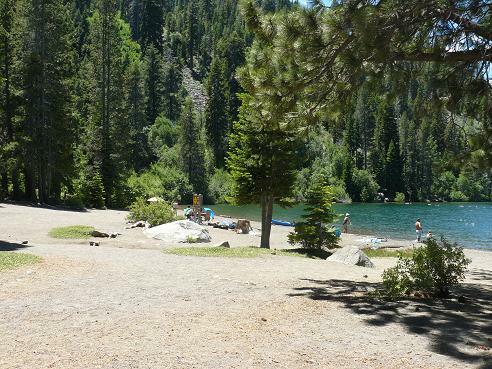 There is also the China Cove Trail which is a trail from the Campgrounds over to China Cove at Donner Lake where the China Cove Beach area is located. This trail would be used primarily if you were camping in the park. There is also a short, self-guided nature trail that starts near the Emigrant Trail Museum and makes a loop through the forest. 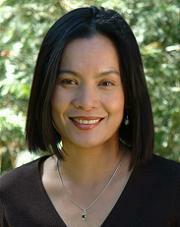 Staff-led hikes start in late June each year. The hikes range from 1 - 2 hours and start at the museum at 10:00 a.m. 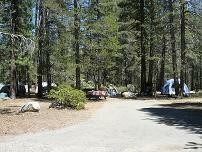 The Park borders the Tahoe National Forest where there are excellent hiking trails. You can pick up hiking maps at the Museum. See my Truckee Hiking Page for additional hiking information! 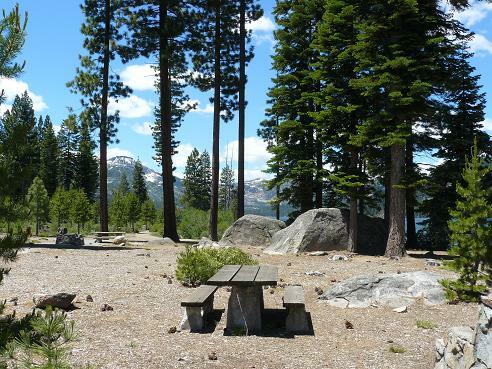 Picnicking - Each campground has it's own picnic area, but the day-use area of the park has picnic areas all along Donner Lake. 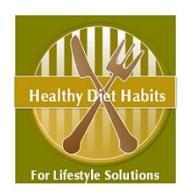 There are lots of BBQ areas to grill, restrooms, and piped drinking water. I went through the park on a Thursday to take pictures, and there were lots of picnic areas open. There were lots of shaded areas, as well as tables out in the full sun! They all looked nice and relaxing to me! 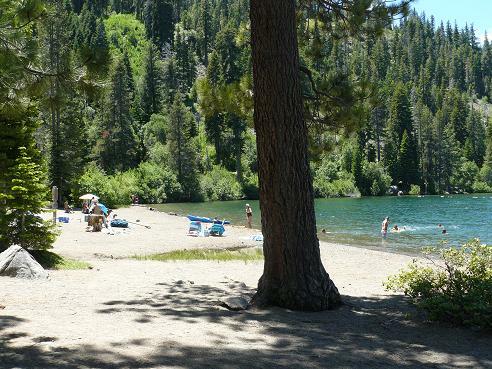 Swimming at the China Cove Beach - while you can pretty much jump in Donner Lake from any of the shore areas in Donner Memorial State Park, there is one official beach area in the Park, located in China Cove. I couldn't find an official name for the Beach, so for the purposes of this website, I'm going to refer to it as China Cove Beach. The area has a defined swimming area, with signs posted warning that there is No Lifeguard on Duty, and that the water is Extremely Cold! China Cove is also a place to go Diving on the Lake. 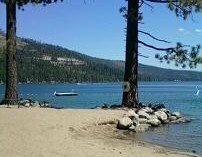 You can also check out my Truckee Beaches page, for other beaches at Donner Lake and my Lake Tahoe Beaches page for information on the Lake Tahoe beaches. 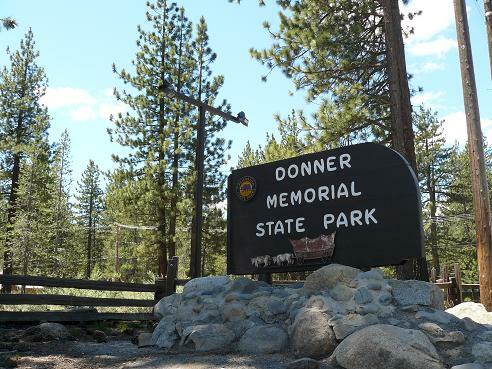 Visit the Donner Memorial State Park Visitor Center, the Pioneer Monument and walk around the self-guided nature trail that starts at the Visitor Center. Watersports - Boats can be rented in the Park from Donner Lake Watersports - Prices listed below were effective 7/14/2011 so they may be higher than this now! Dogs - Permitted in the campground and picnic areas (max 6ft leash), and in your tent or motor vehicle at night. Not Permitted on the trails or the beach. The Photo's above, will randomly change with all of the Donner Memorial State Park photo's that I have uploaded in the Truckee Travel Guide's Flickr photo's "Donner Memorial State Park Photoset". To view all the photo's, just click above on the Donner Memorial State Park blue link to view the entire set of photo's, or just click on your browser "refresh" button.